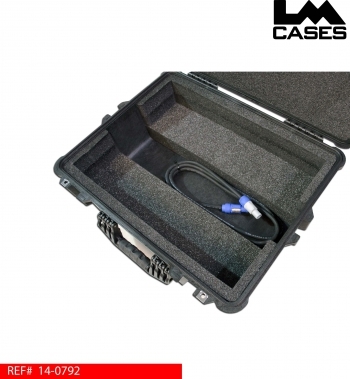 This case was designed for Starlight Visuals to hold a custom time code sync clock. The design features a 1RU rack with a removable bottom panel, and a signal and power panel built by the LM Cases Custom Integration department. 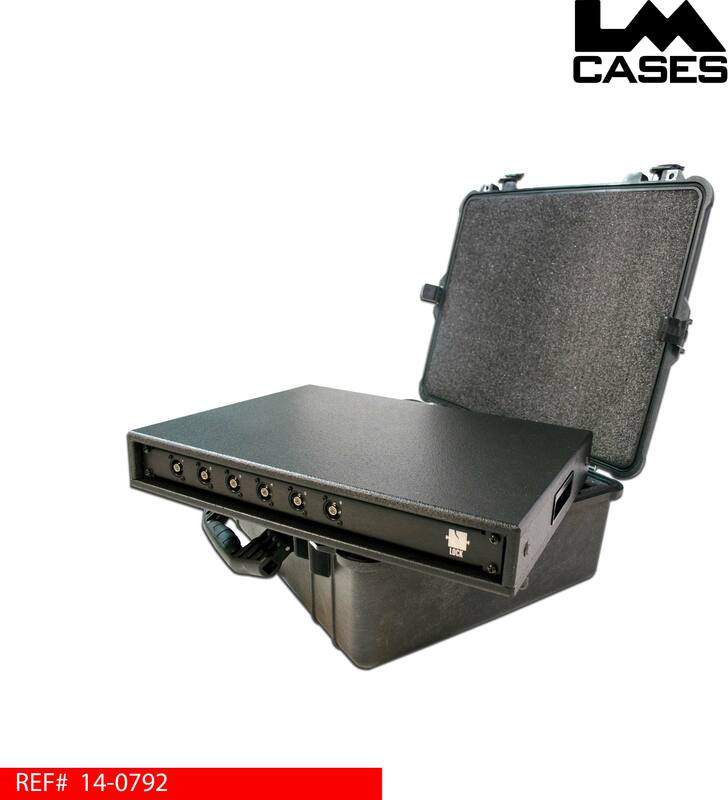 The rack is held in a Pelican 1600 case with a custom CNC cut foam insert. 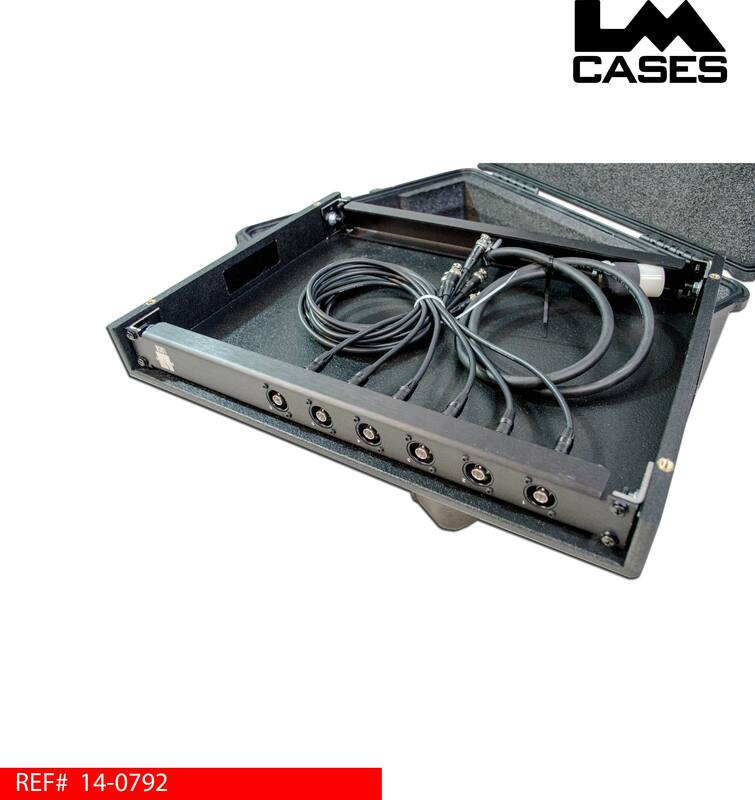 The inner rack is built out of 1/2" Baltic Birch plywood plywood finished with black texture coating. 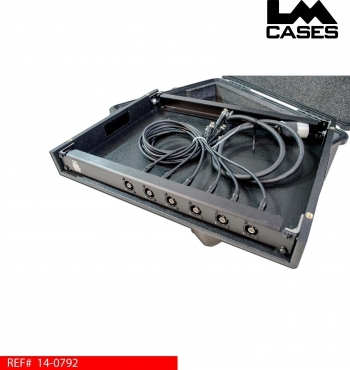 The bottom panel is held on with thumb screws with insert brass nuts mounted into the side panels of the rack. The panels are built out of .125" thick black anodized brushed aluminum and feature the SLV's Frankenbox logos. 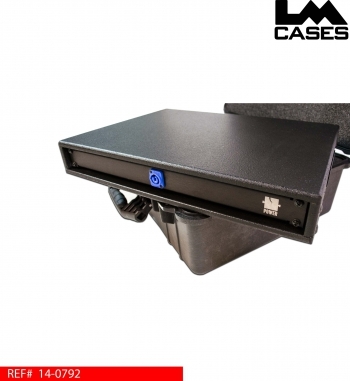 The Lock panel features 8 Neutrik BNC jacks, the Power panel features a Neutrik Powercon inlet wired to a female Edison receptacle. Also included is a Neutrik Powercon link cable to power the rack from other cases in the Frankenbox system. 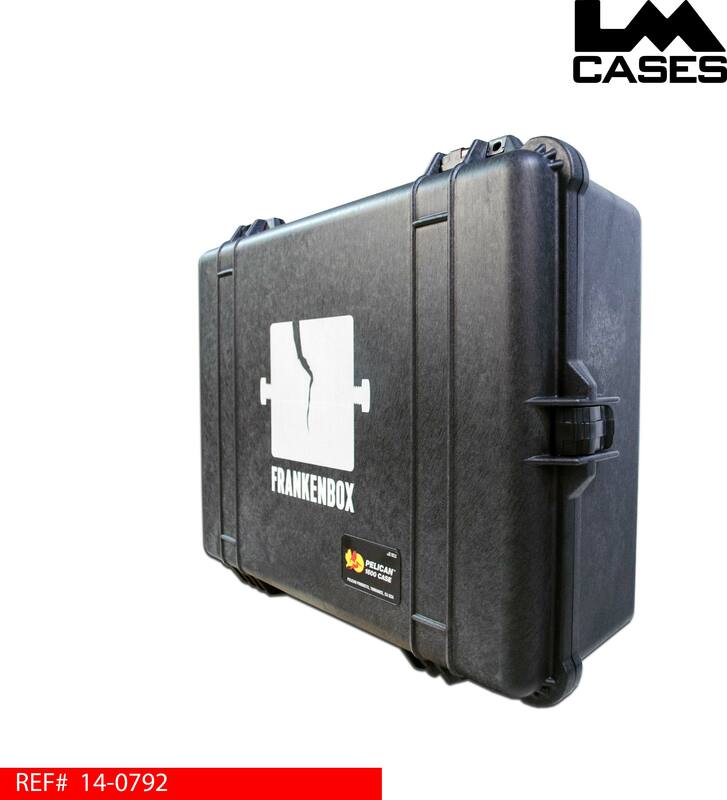 The Pelican 1600 case features a custom silkscreen of the Frankenbox logo and a custom CNC cut foam insert complete with an accessory compartment below the rack shell. Special thanks to Starlight Visuals!